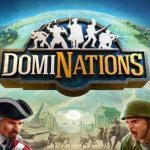 In DomiNations you can get to control any one of seven available nations and fight players from all over the world in a game of strategy, with a lot of city-building elements. And one of the more interesting aspects of the game is your Troops – aside from your Soldiers, Horsemen, and the like, you’ll also get to control Mercenaries. And unlike other “special characters” in the game, there are actually numerous types of Mercenaries – right now, there are at least 15 available. These fighters can be real game-changers, but only if used properly, and that’s what we’re here to show you in this new collection of DomiNations strategies. Each of the available Mercenaries will only get “unlocked” in the right age, so as to avoid the possibility of these troops becoming too strong by debuting an age too early. For instance, you wouldn’t want to see other players controlling Hessian Cavalry, because that’s going to make them way too dominant in the present age. Still, you shouldn’t fret, as some Mercenaries will still be effective in a way a few ages after they debut, mainly when attacking areas that aren’t protected anymore. Resource management is still very, very important when you’re dealing with Mercenaries. Each of the 15 or so types has their own requirements, and higher-end units, of course, will require more resources. Take this quick example, for instance. If your Basic Soldiers are Hittite Warriors, then the mercenary Hun Warriors are improved versions. This actually may not qualify as a tip, but it’s something that’s nice to know as you send your best troops forward. Here’s one last thing you should remember about Mercenaries – they won’t return to your camp once the battle is done, even if all defensive buildings have been destroyed. That would make it a better idea to send them only when doing medal attacks. 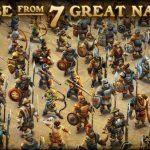 We’ve also shared some tips and tricks before on how to use your regular troops in the game, so if you’re intending to create a powerful army, we suggest you to read our guide on troops.